So you have decided you would like to enter a figure competition or perhaps you are in two minds on whether to or not? Well once you have made the decision to compete, you will find there are several things that you need to think about. 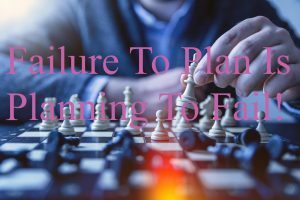 In this article I will cover the top 10 things you need to consider, but first off I will tell you that you need to plan and plan well in advance. Depending on how much body fat you have to lose you may have to start dieting anywhere from 12 to 20 weeks out from the competition. 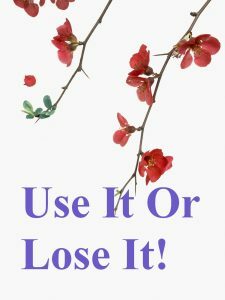 It is better to lose it slowly at approximately 1lb per week. For my first competition I dieted for 17 weeks and lost around 18lbs. Even if you imagine that you’re athletic now, you must spend at least a few months to get in even better condition. You’re going to need to learn where and when events are taking place. To find out this kind of detail, the best thing you can do is go online. The UK federations include UKBFF, NABBA, and BNBF – check out the complete list on MuscleTalk. Make sure you read the competition guidelines as different federations have different rules regarding suits, posing routines, music, etc. Also look up the photo galleries from past events to see the calibre of past competitors. REMEMBER TO JOIN THE FEDERATION AND REGISTER FOR THE EVENT. Your dieting needs will be particular to you so I can only give general advice. If you are not using a coach and planning your eating yourself remember not to drop the calories too low especially early on, this will result in your hitting a plateau which will be very hard to get past. This is why you want to start dieting as far out from the competition as you can so calories can be dropped slowly giving your body time to reset it’s metabolic set point. You could start your daily calorie intake at 12 x your body weight in lbs. You will then only drop calories once you stop making progress and when you do, only drop them by 100 per day. For example, if you are eating 2,000 calories a day when you stop making progress the following week you would eat 1,900 calories a day. I say stop making progress and not losing weight as there will be some weeks the scales will not move but perhaps you will lose 1/2 an inch from your waist – do not rely solely on the scales for progress because they lie (this is a whole other article). See this site for some further advice on how to calculate your macronutrient intake. There are supplements for everything on the market, pre-workout, during workout, post workout, early morning, late evening, to name a few and because of this how many you are going to take is a personal decision, between you and your bank balance. You can find some more information on different supplements from bodybuilding.com. I take a multivitamin daily, fish oils, whey protein, l’glutamine and BCAAS. Your training routine will be dictated by your own schedule, but I would suggest you find time to train every muscle group once per week. Stick to the heavy weights and a low to medium rep range. You may have people telling you to up your reps into the 15-20 range and drop your weights, but this will only have your body cannibalising your hard earned muscle due to the calorie deficit you are in. This is bad, as you are aiming to lose body fat while conserving muscle. This is the catch phrase to keep in mind. You need to keep lifting heavy so your body knows that you need the muscle. When it comes to cardio I would say use it sparingly and when you do incorporate it either use HIIT, metabolic workouts or walking, no hours of jogging or stair mastering. This is where you are best spending some money, a good fitting suit can be the icing on the cake of your appearance, while an ill fitting suit can result in points being docked. You need to think of a suit early on if you want it custom made as there may be a lot of people using the same suit designer and they will need to fit you in. I had my first suit custom made and I am so glad I did, they are small enough without them gaping in undesirable locations. Check out Fit for U Bikinis for your suit, shoes and tanning products. Get heels that match the regulations of the federation you are competing in. The standard is clear, 5 inch heels. 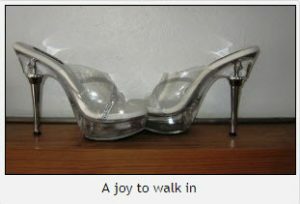 They can have straps or an open heel and they can have crystals, while platforms are generally discouraged. Again I got these from Fit or U Bikinis. You need to practice your posing from day one and you need to practice regularly. Ideally, try to find a coach, attend a seminar, or get someone who has done it before to assess you and give you pointers. Also watch videos and DVDs of competitors posing. You need to be able to do it first of all in front of the mirror, then practice without the mirror and have someone take photos, so you can critique your stance. Finally, practice it in front of a group of people, as it is only when you feel comfortable walking in 5 inch heels, wearing a very small bikini, holding poses you wouldn’t normally hold, will you look (and feel) confident on stage. For some competitions you will have to do a routine to music, so pick something you are comfortable with and enjoy listening to as this is something else you will have to practice regularly. You do not have to be a dancer but simply be able to move from one pose to another gracefully. This is an easy one. Simple usually works best, although only you will know what suits you. Again check the federation guidelines. Earrings and bracelets are good for adding some bling, while necklaces and anklets can be distracting and break up muscle tone lines, you want to avoid anything that detracts from your figure. You will need to be tanned for the day of the competition. How you achieve your tan is up to you, I personally got mine from a bottle. When you are ordering tan remember you will need a number of coats so make sure you get enough. I have added links for the products I bought; I put on 5 coats of pro-tan starting 3 days out from the competition, then on the day I put on the dream tan (always go for red bronze even if you are blonde). Bikini bite is good for keeping your suit in place. This last tip is about completing the package. I realise by this point competing is looking quite expensive and in truth it is. So how much you want to spend on each of these is a personal decision. I did my own make-up but remember you will be on stage and you don’t want to be washed out looking. Also you do not tan your face so make sure you get a darker foundation for the day. I would suggest doing a practice run. For hair I had mine up out of the way, which I was glad of because it was one less thing for me to worry about on the day. But other competitors had theirs down and that looked lovely too. I got fake nails but in all honesty I think they were a waste of money. As far as waxing goes I would suggest you should wax instead of shave at least a week before the show. And don’t forget to get your arm pits done, I tried shaving mine the night before and lets just say it made a real mess of my tan – never again! Once you have picked the competition and the division you want to compete in try to find people who are doing the same. 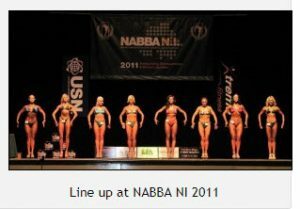 This can be in person, for instance when I competed in NABBA I contacted the local organiser and he put me in touch with the previous years winner, who was more than willing to discuss hints and tips with me. Some local gyms will have people who compete every year and will be able to put you in touch with them. Check out if there are any workshops or seminars being run locally as these are a great place to meet people, Finally, online is another way to connect with like-minded people, via resources such as forums and social networks. Competing in a figure competition may just be the best thing that you will ever do, however it is not just about the competition it is about you. Regardless of whether you place or not, enjoy the journey to the competition, atmosphere and the buzz of the day, and speak to other competitors to get advice and motivation for the next one. Remember, even though you may want to binge for a few days after your competition your body is not used to eating like that anymore and you will pile on the pounds if you binge for too long. Set yourself a limit, of say, 3 days and after this go back to clean eating.